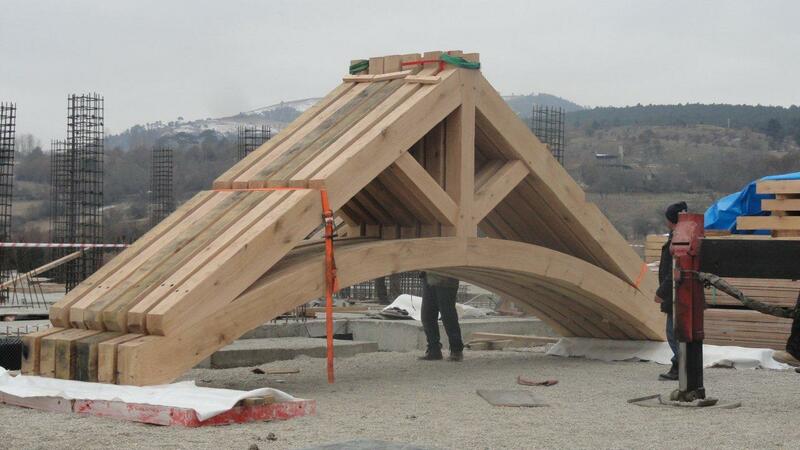 Altham Oak’s long tradition in working with naturally curved oak timbers together with our propensity for problem solving were the key factors in obtaining this contract situated high in the Turkish mountains in an area of snow and earthquakes. 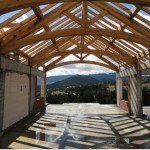 The roof of the 950 square metre complex was supported by our trusses and purlins. 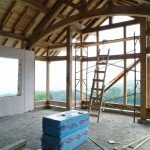 Our key green oak frames included 12 matching King Post Trusses, an Oturma Oak Frame and a major oak framed window wall. 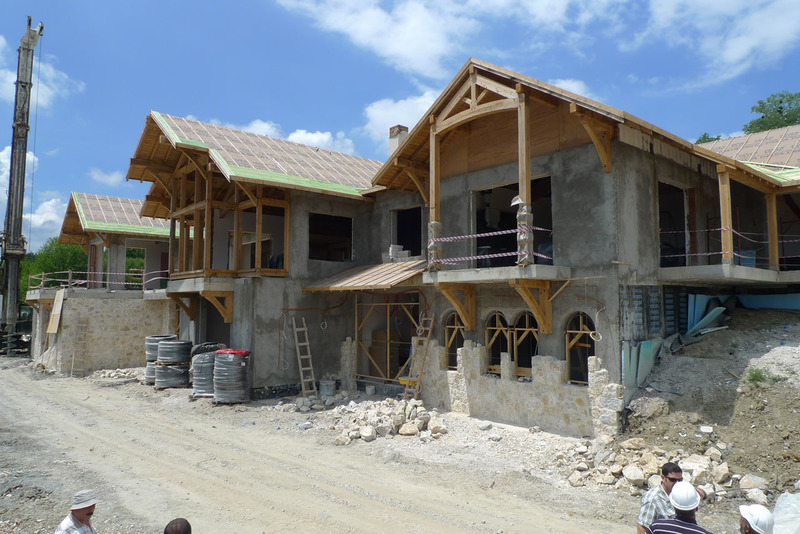 The trusses all featured a formal arched tie beam. 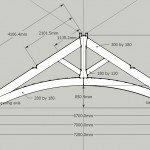 The working drawing depicted here was made for the manufacture of the 6 Salon trusses. 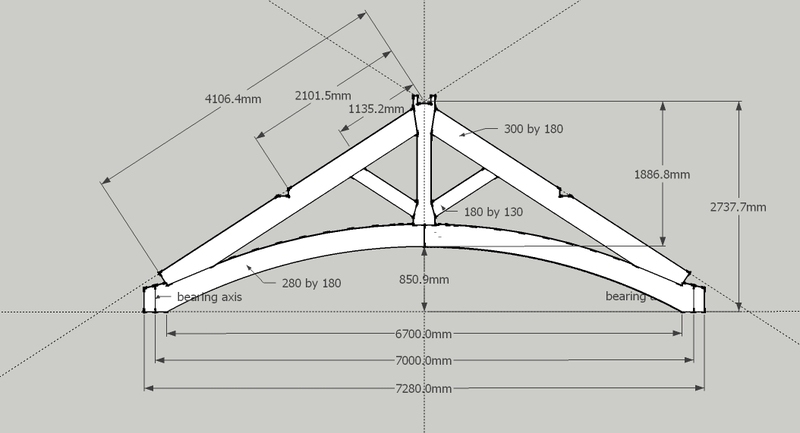 The principal feature of these trusses was the 7.28m arched tie beam. 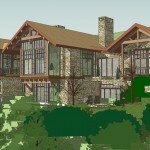 This was the first project where we could test the use of Google Sketch Up. 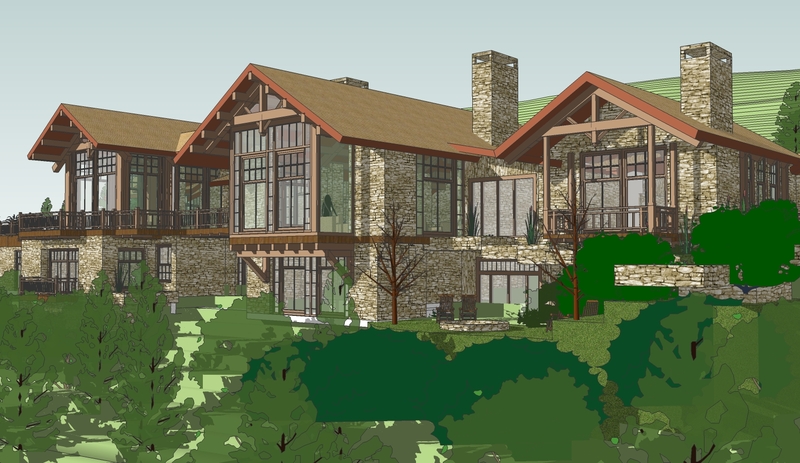 Google Sketch Up enabled us to model the building and truss design. 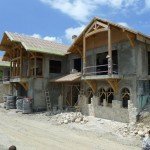 The model was realistic enough for the client (based in Turkey) to walk through it and assess structural and aesthetic qualities and make decisons before the manufacturing started. 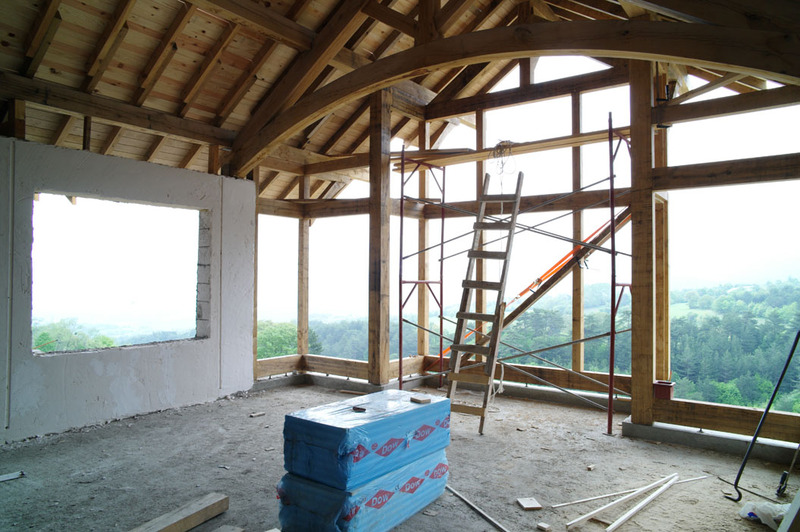 The client now tells us that the model and the reality are very close. 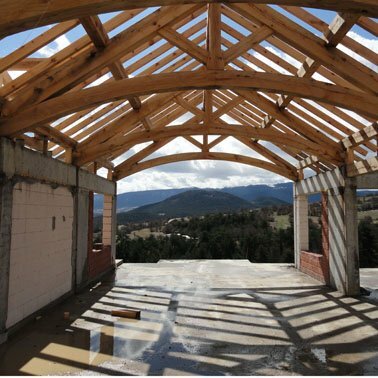 The Oturma Oak Frame was both a decorative and structural feature which supported part of the roof and ceiling and also formed an open division between a corridor and a seating area. 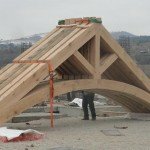 We worked with an engineer from Richard Rhodes and Partners Ltd from Stockport together with the client’s engineer to design the oak frames to withstand a one metre snow loading and the near certainty of future earthquakes.